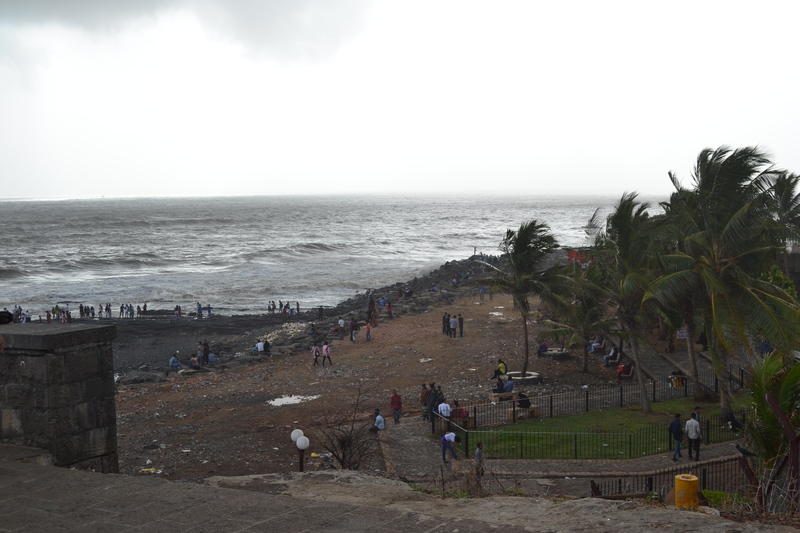 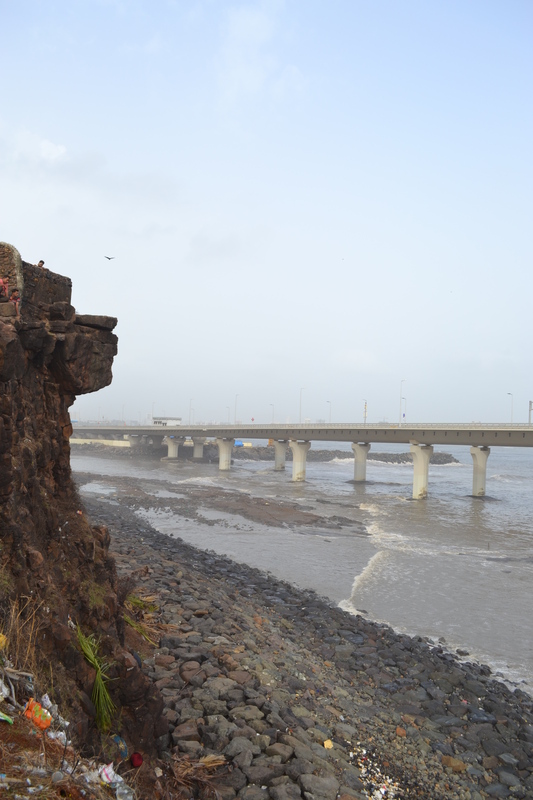 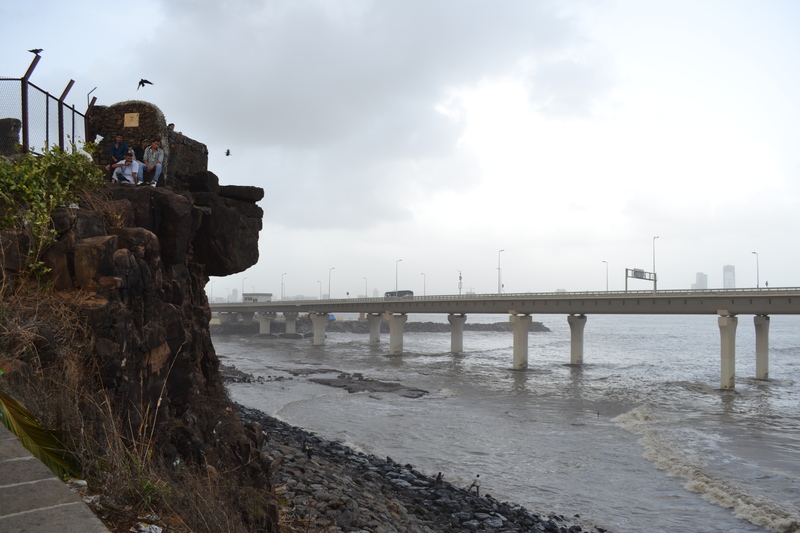 Bandra Fort lies at the extreme end of Band Stand promenade in Bandra West. 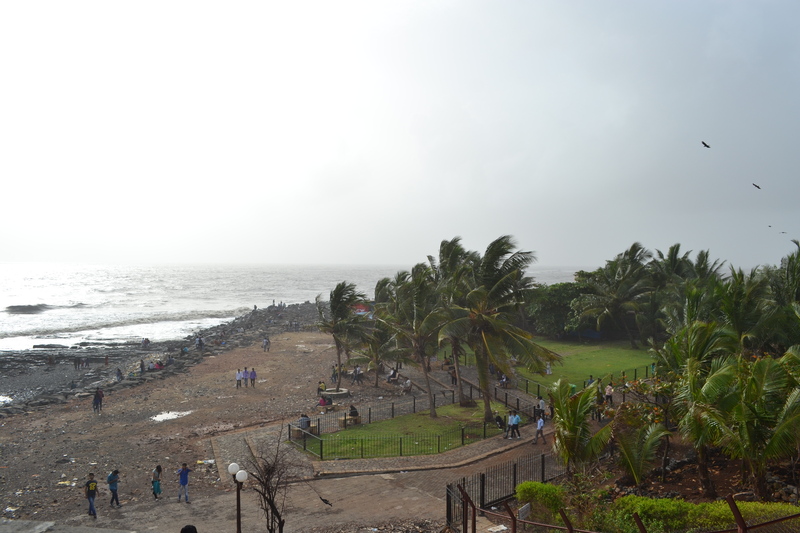 You walk all the way along the promenade and past the Taj Land’s End hotel, and there, on the last tip of land before it drops into the sea, is the fort. 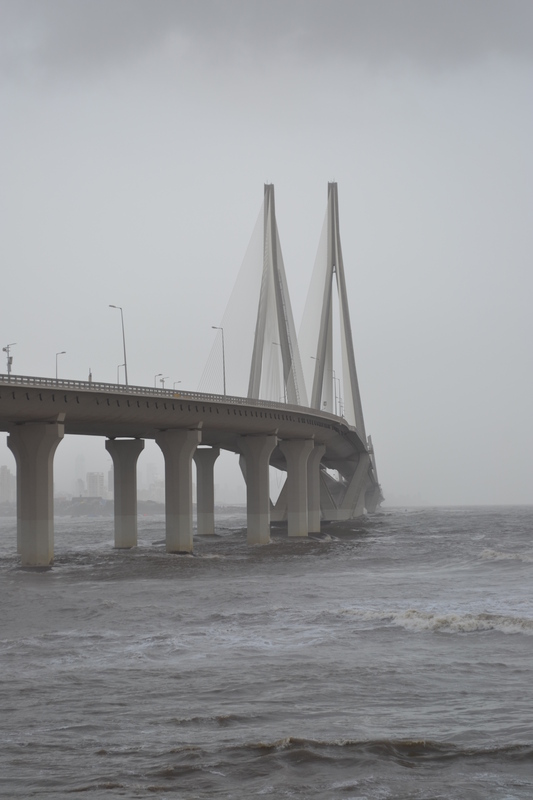 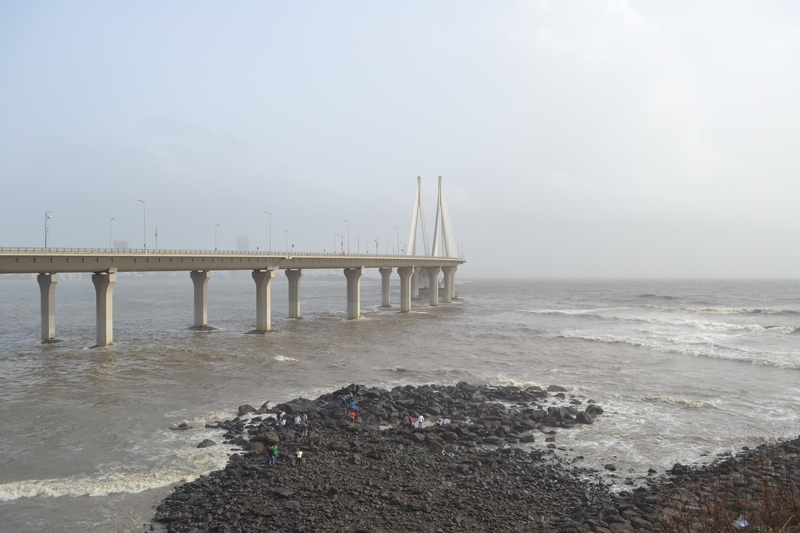 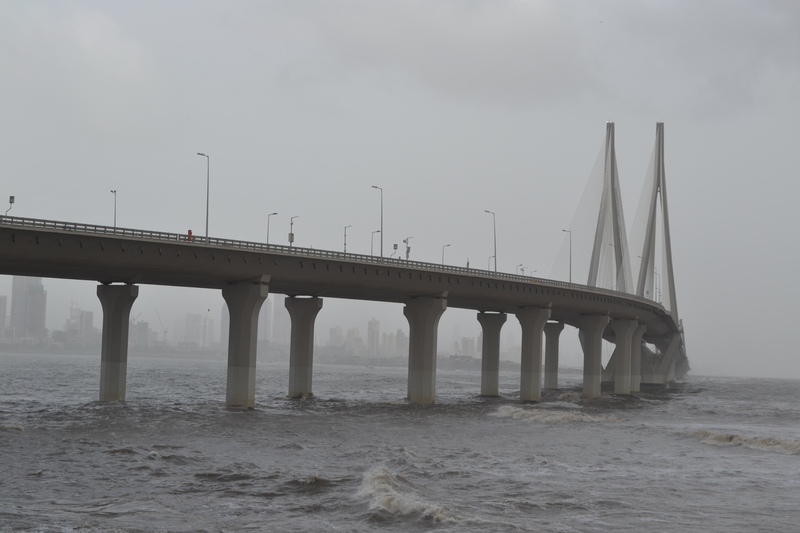 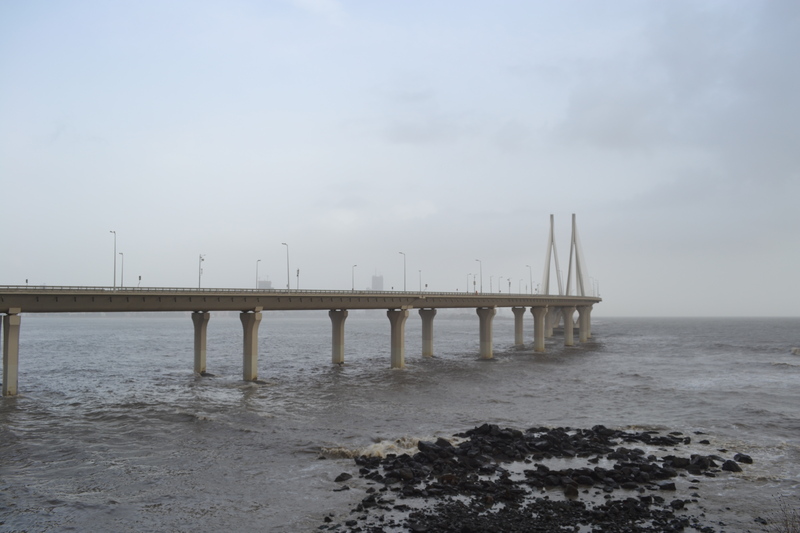 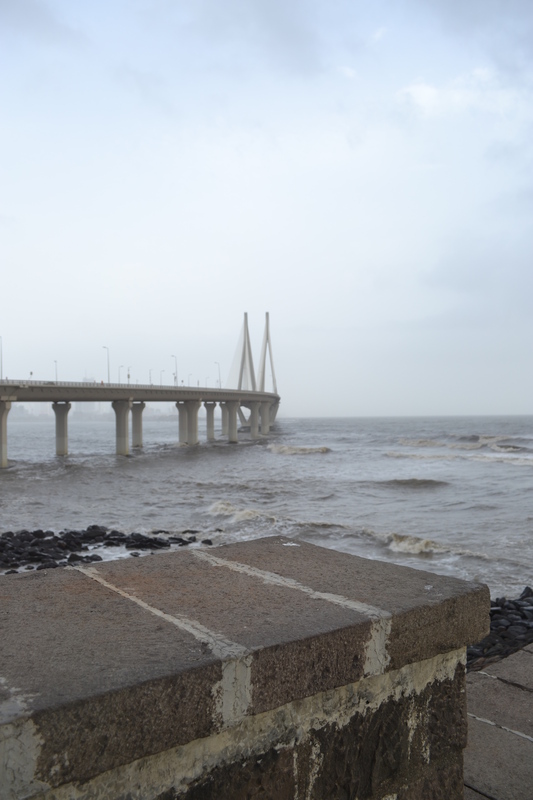 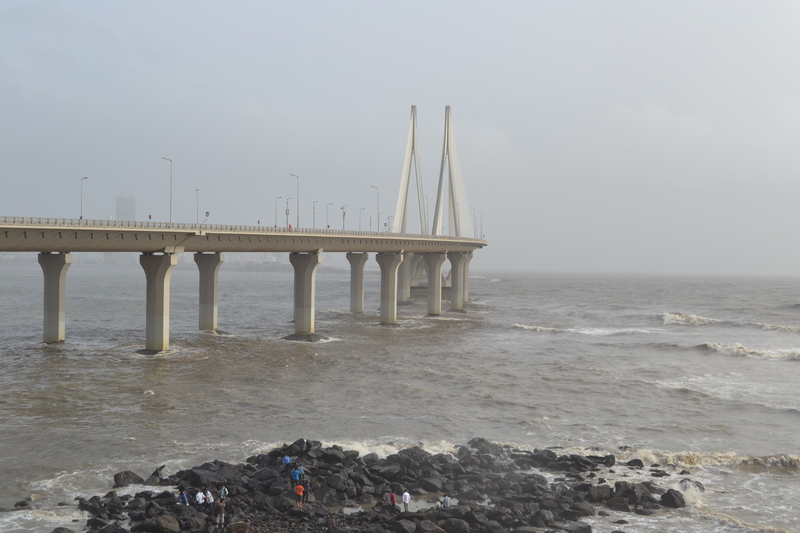 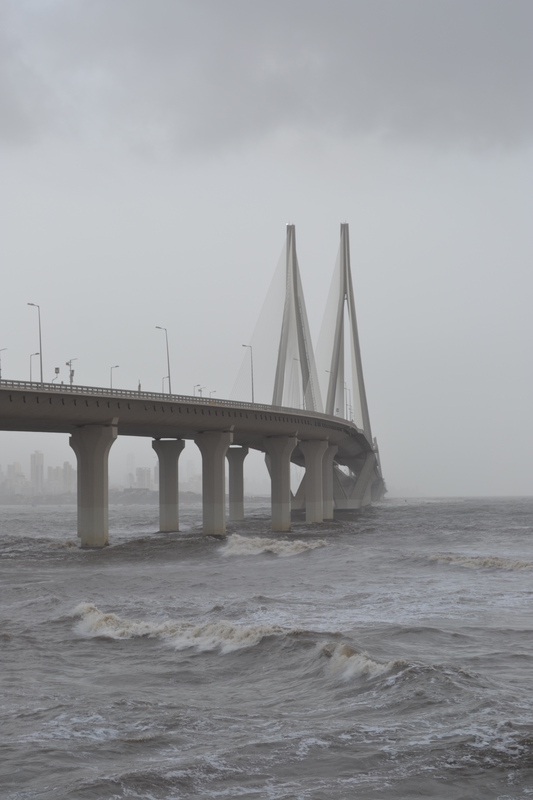 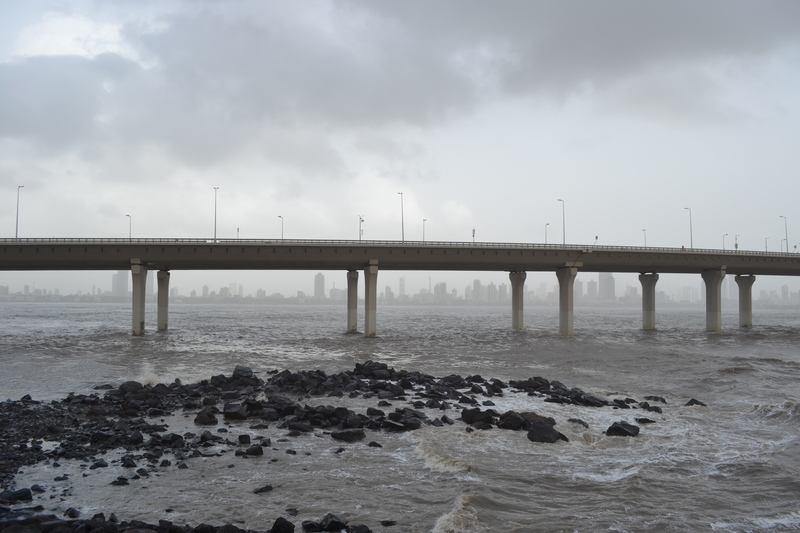 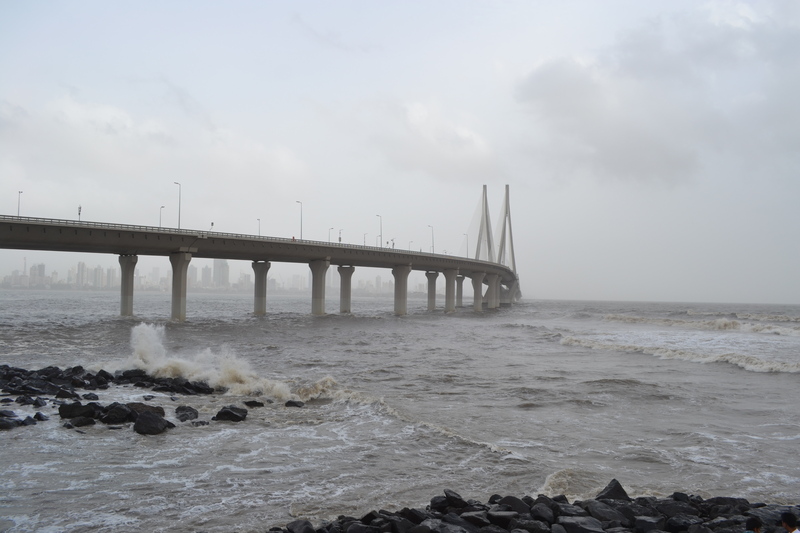 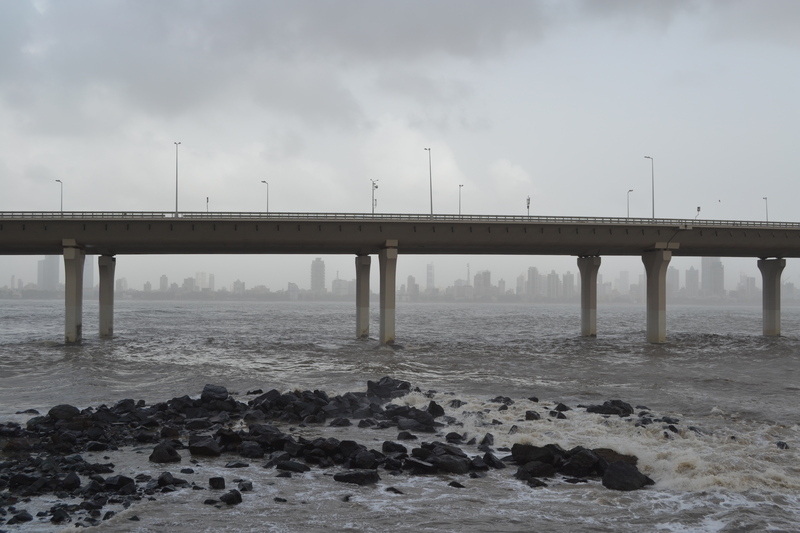 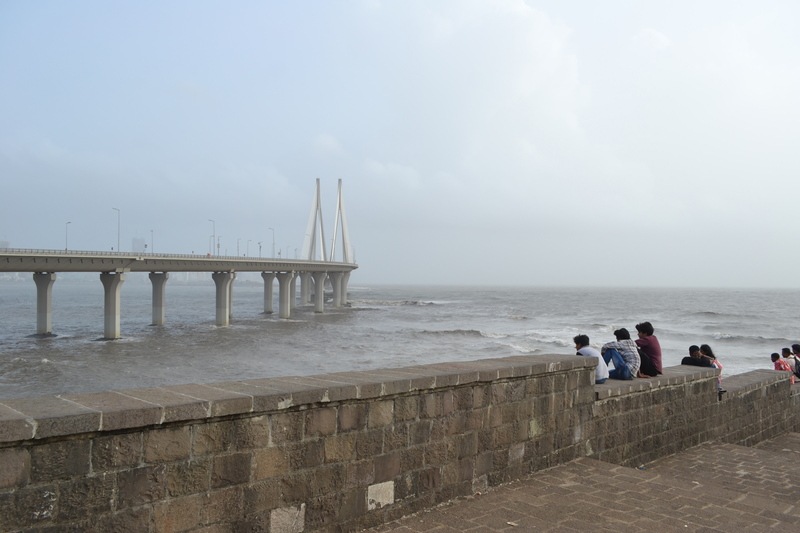 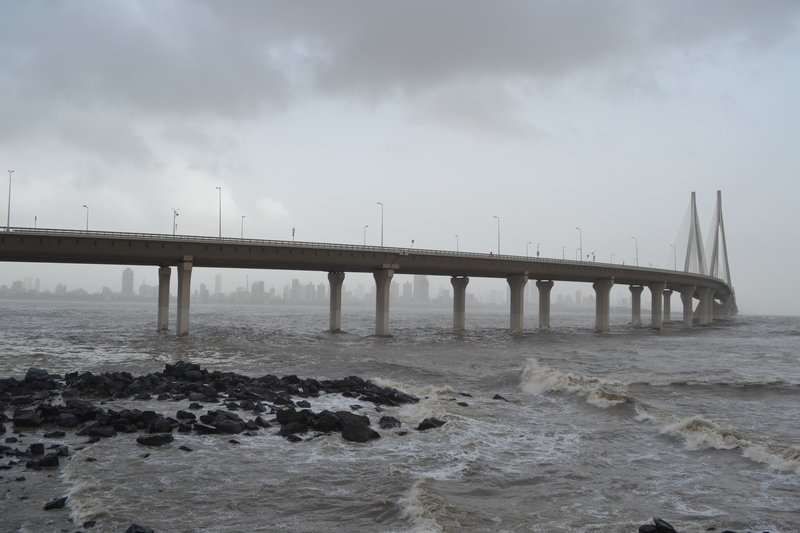 From Bandra Fort there is a very good view of the Sea Link suspension bridge, which was built in 2009, and connects the suburbs of Bandra West and Worli, spanning Mahim Bay. 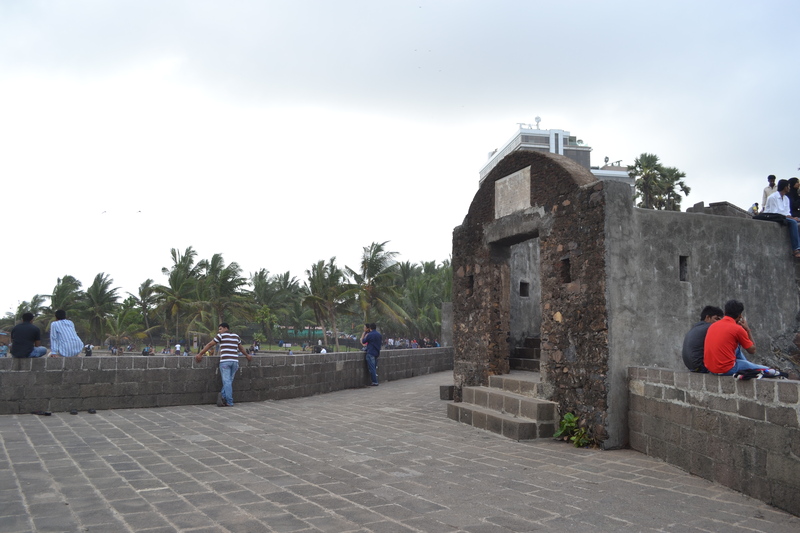 Built by the Portuguese in 1640, the fort served as a defensive watchtower, looking out over Mahim Bay, the Arabian sea, and the island of Mahim to the south. 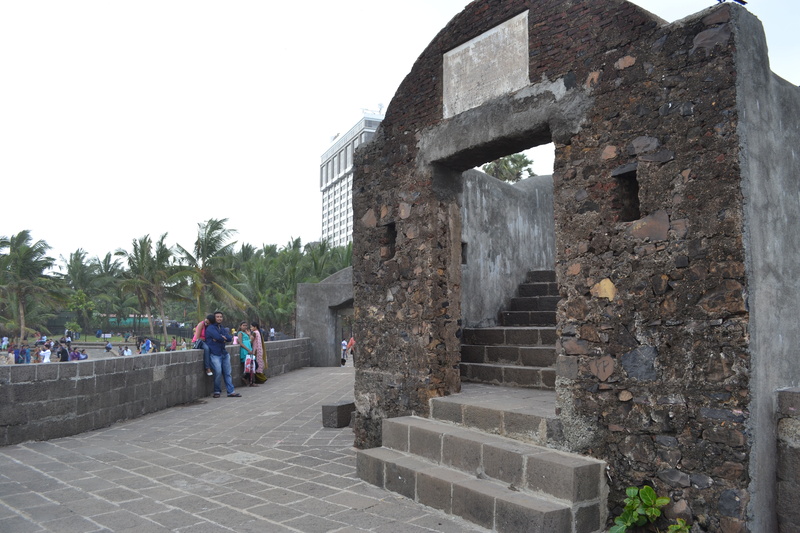 Bandra Fort is also known as Castella de Aguada, ‘castella’ being a misspelling of the Portuguese castelo meaning castle, and ‘Aguada’ indicating the fresh water fountain that was present at Bandra Fort and used to supply passing ships with drinking water. 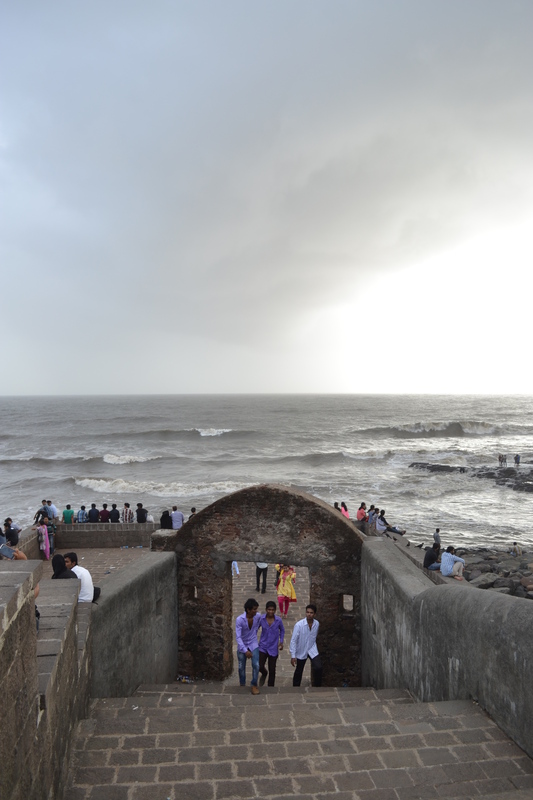 This area of Mumbai has other forts too, notably Worli and Mahim forts. 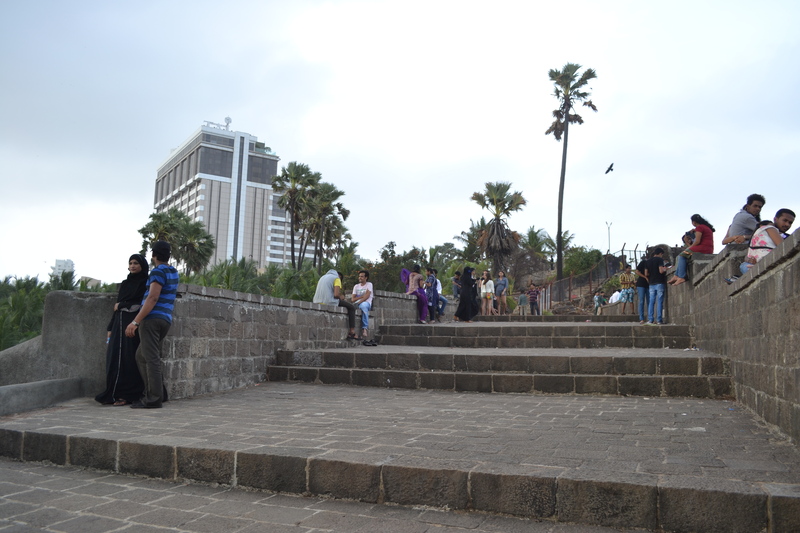 This is Worli Fort, which lies just across the bay from Bandra Fort. 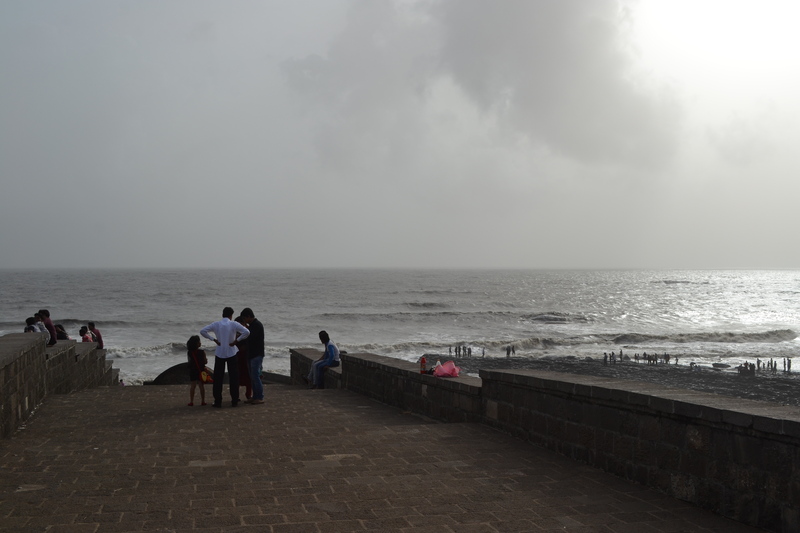 Worli Fort was built by the British around 1675, and looked out over Mahim Bay at a time when the city of Bombay was made up of seven islands. 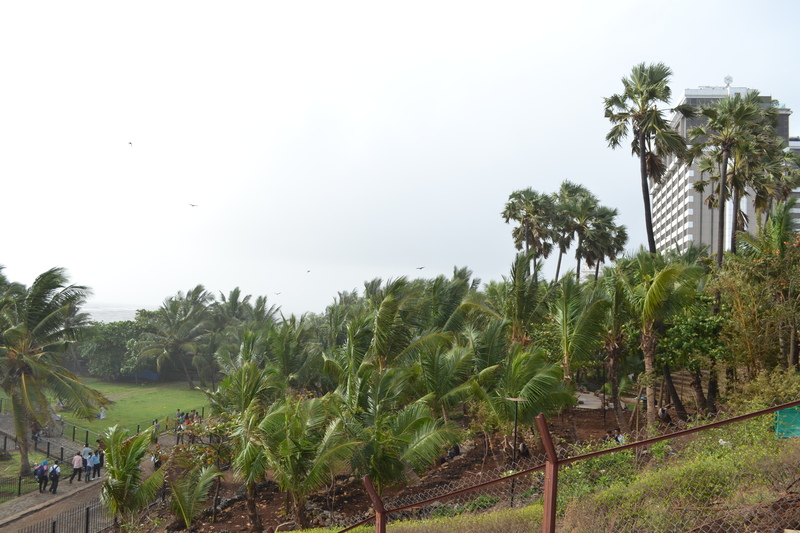 The Fort at Worli was built on a hill and used as a lookout post to defend the British-held province of Worli against attack from the sea. 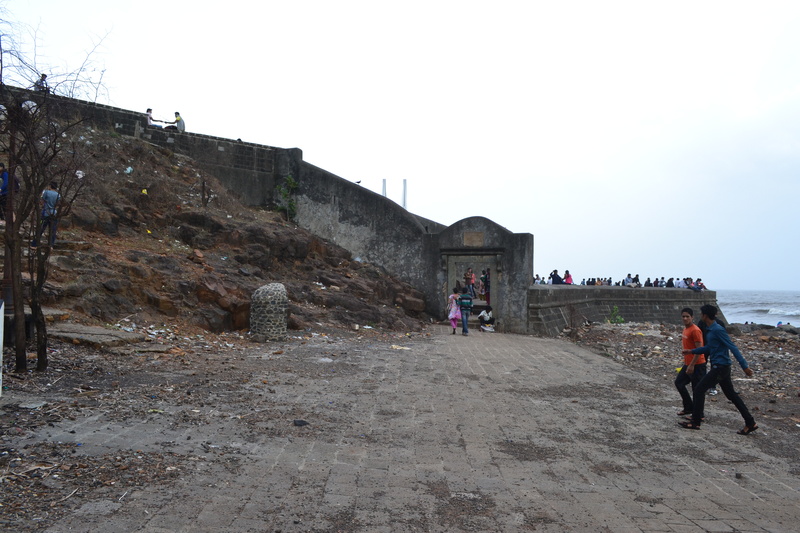 Today the slum area of Worli Village lies around the fort, making it slightly difficult to access and maintain. 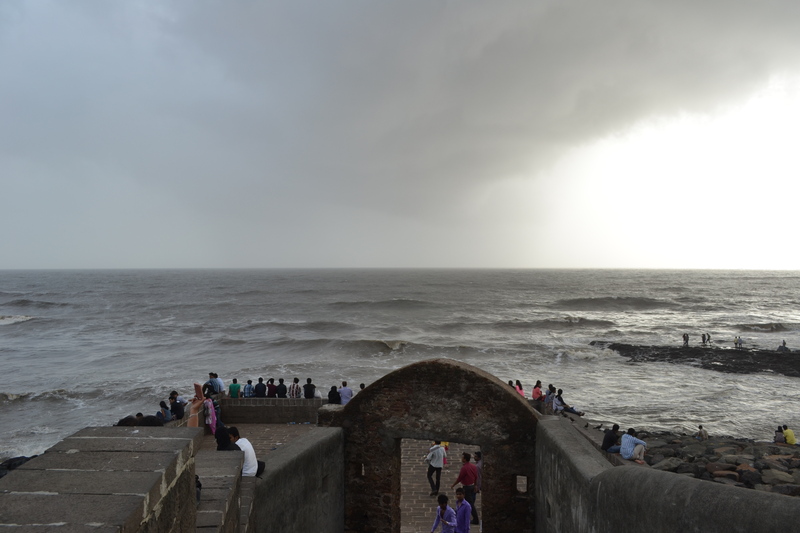 Mahim Fort is less accessible, and the fort here is in disrepair due to encroachment of hutments and exposure to tidal erosion.